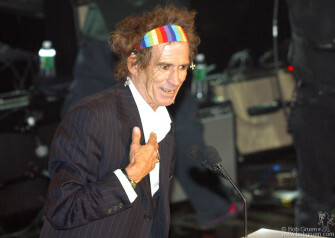 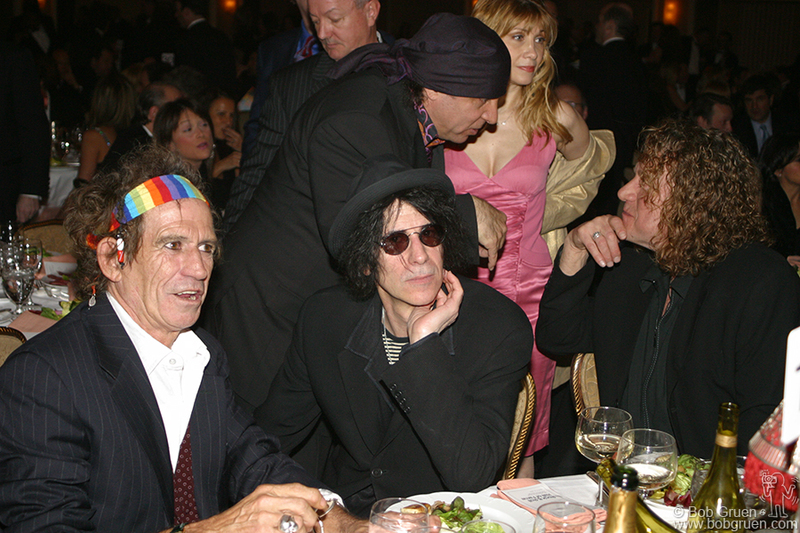 March 15 – As people took their seats Keith Richards chats with Peter Wolf while Little Steven says Hi! 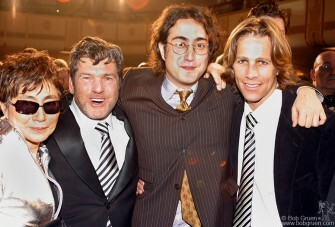 to Robert Plant and his wife. 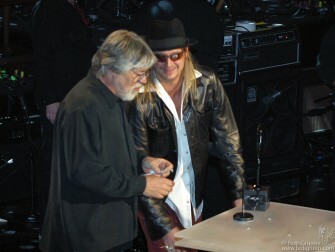 Kid Rock says hello to Ahmet Ertegun as Kid’s date Jaime Presley takes her seat. 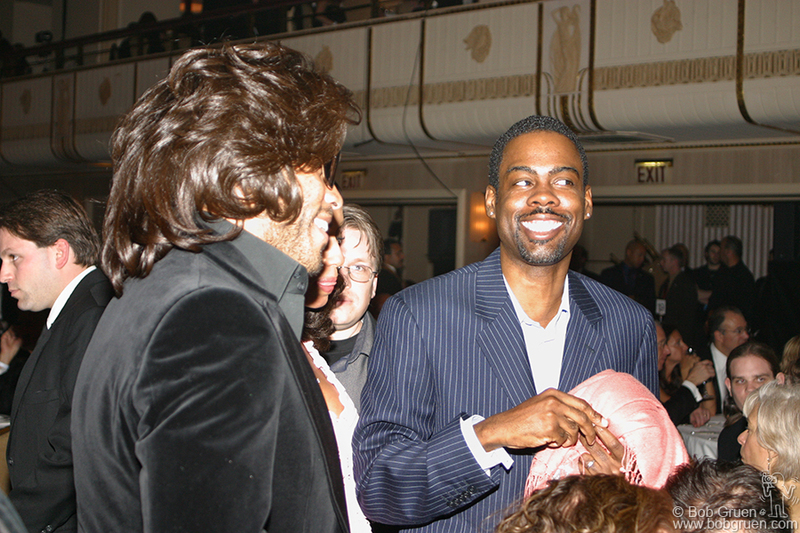 Lenny Kravitz shows off his big hair to Chris Rock. 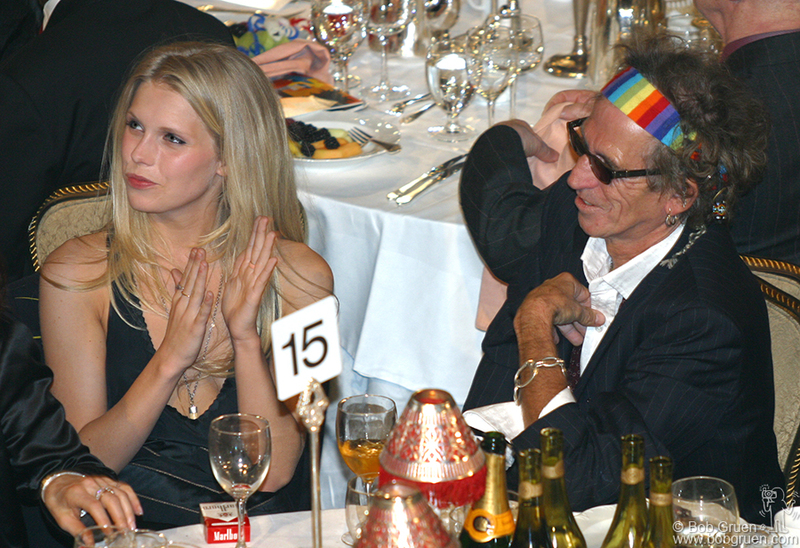 Mick Jagger, Leelee Sobieski, Lenny Kravitz, Sean Lennon, Yoko Ono, Jann Wenner and Matt Nye. 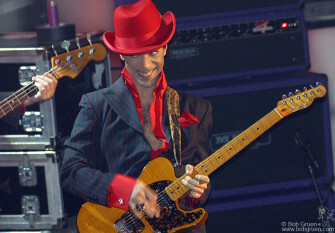 Prince started off the evening on a very upbeat note performing three songs and then was inducted into the Hall of Fame. 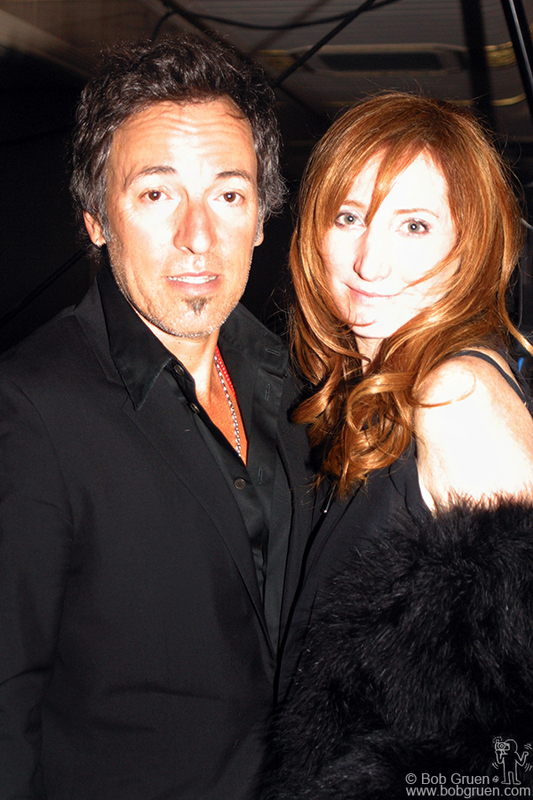 We weren’t allowed to photograph his show, but I got a shot as he returned to his party at his table. Keith was with his beautiful model daughter, Theodora and they both seemed to have a very good time watching the show. 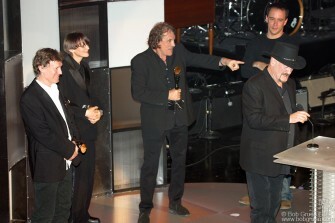 Traffic was inducted by Dave Matthews. 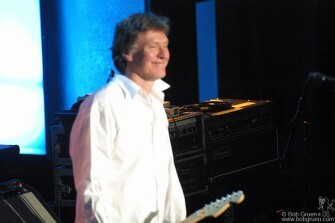 Steve Winwood looked happy to be playing with Traffic again. 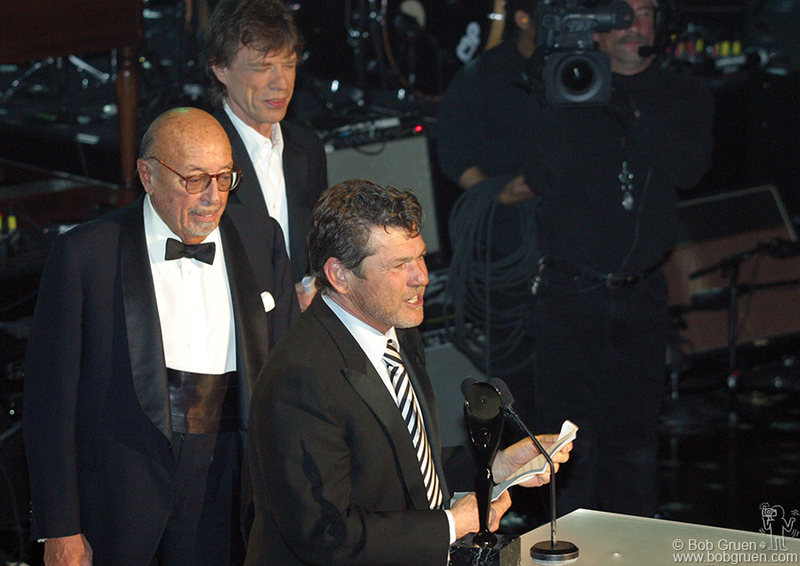 Ahmet Ertegun and Mick Jagger inducted Rolling Stone Magazine Publisher and Founder Jann Wenner. 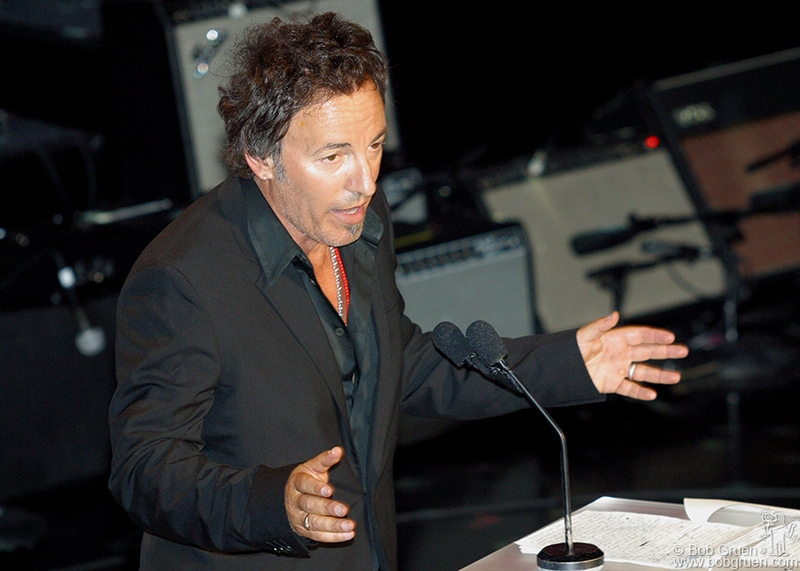 Bruce Springsteen inducted Jackson Browne, mentioning all the very pretty girls Jackson had in his audience. 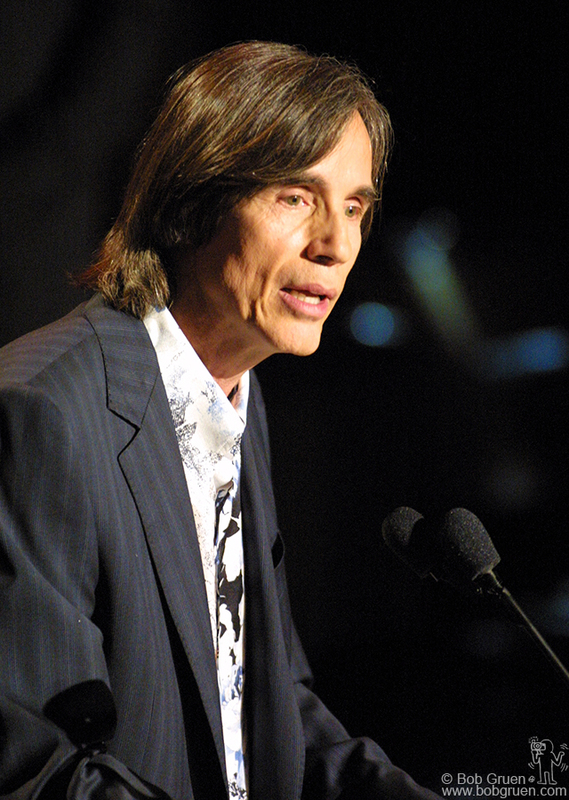 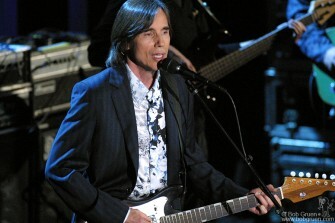 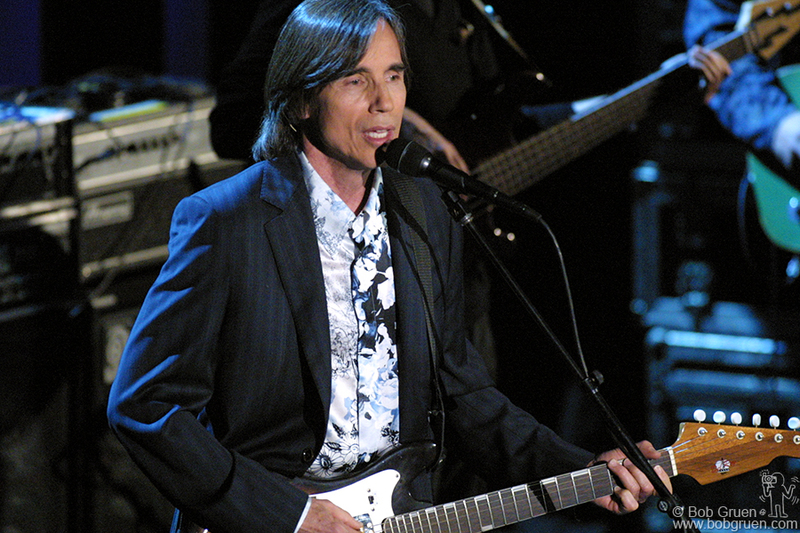 Jackson Browne thanked the Hall of Fame…..
…..and played a few songs. The Dells got the crowd up and cheering after their induction. As he inducted Bob Seeger Kid Rock also thanked Bruce, saying that his mother was one of the very pretty girls who went to Jackson Browne concerts. 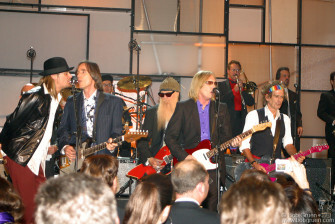 Keith Richards inducted ZZ Top saying “It’s all about the blues, isn’t it?” and he also thanked the audience “for all their mothers”. 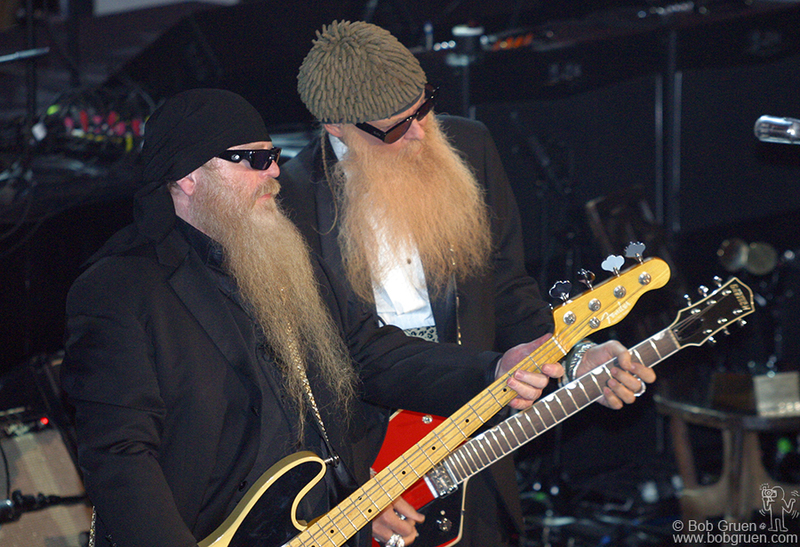 Dusty Hill and Billy Gibbons played some rousing ZZ Top hits. George Harrison’s widow Olivia and their son Dhani accepted the honors for George. 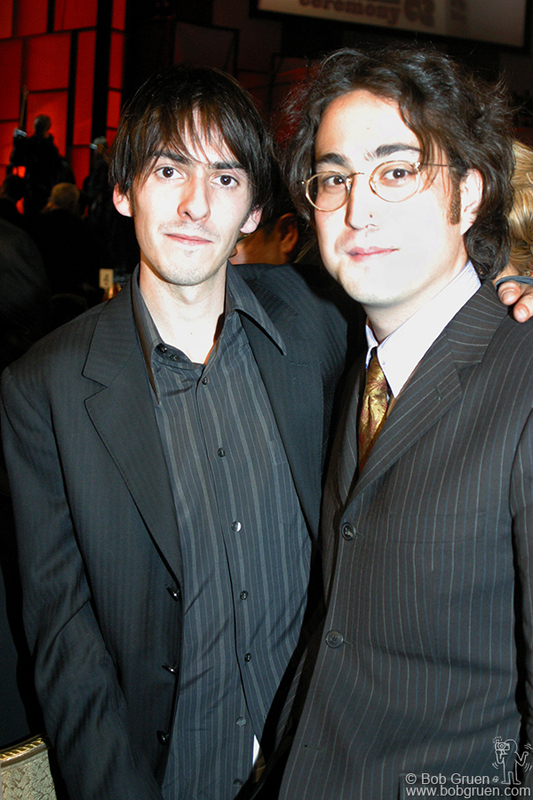 Dhani then played with Jeff Lynne and Tom Petty who inducted George recalling that they knew him well when they played together in the Silver Willburys. Then Prince joined them with a fantastic guitar solo on "While My Guitar Gently Weeps". 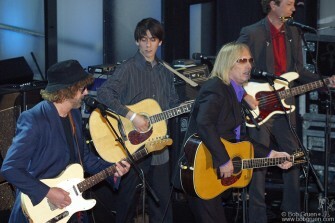 Then Prince joined them with a fantastic guitar solo on “While My Guitar Gently Weeps”. 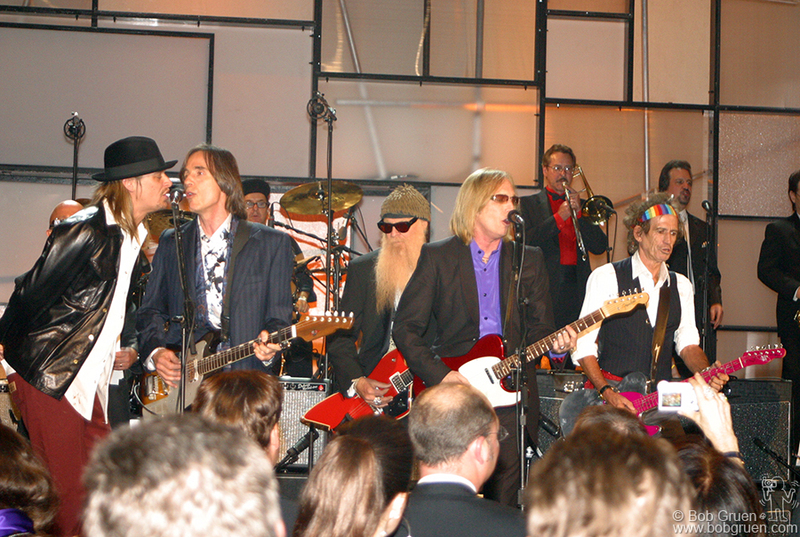 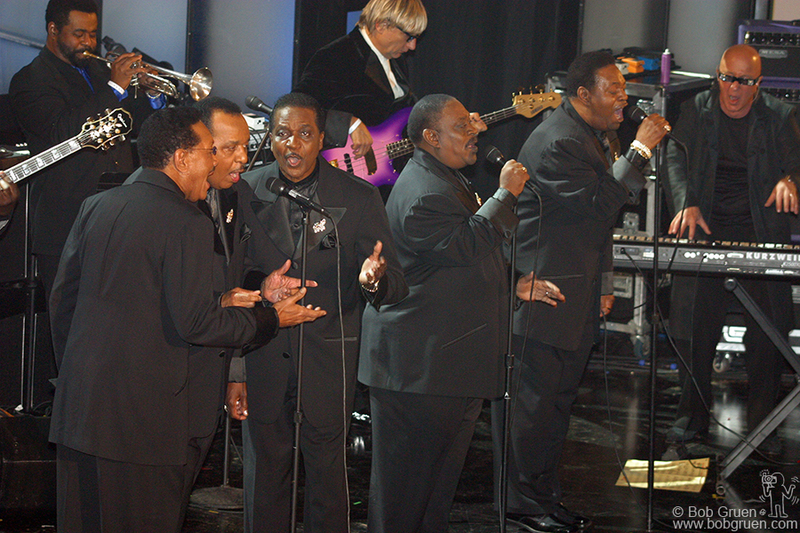 This was followed by all the winners and presenters ending the show with a rockin’ jam session. After the show, Dhani Harrison says Hi! 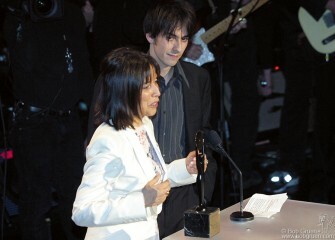 to Sean Lennon. Bruce Springsteen leaves with his wife Patti. Yoko Ono and Sean congratulate Jann Wenner and his partner Matt Nye. Jim Capaldi of Traffic greets his family and shows his new award. 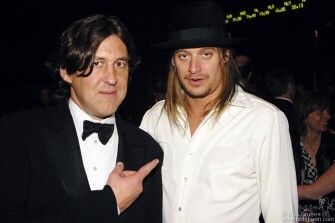 Downstairs at the afterparty, Cameron Crowe and Kid Rock. 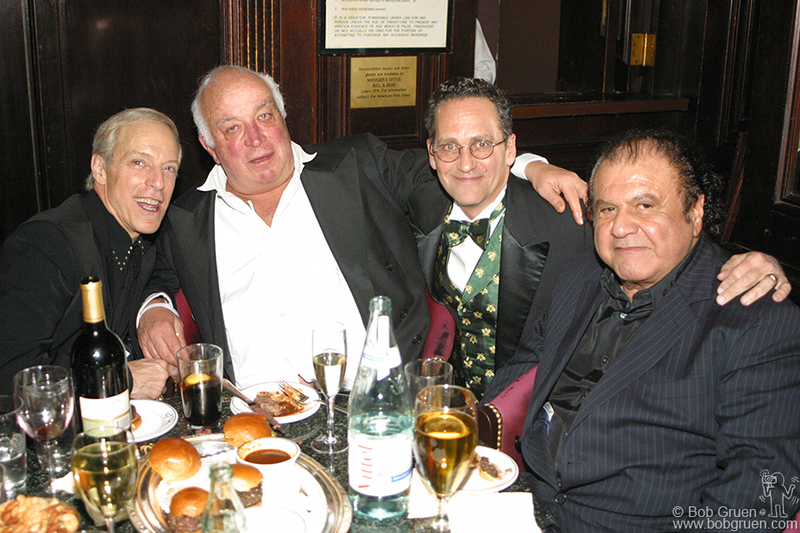 Famed DJ Jerry Blavatt with Seymour Stein, Billy Kornreich and publicist Pete Benett.